EW has exclusively learned that Hyperion will release Through the Dark, a collection of three novellas set in the Darkest Minds world.Through the Dark (out Oct. 6) will feature In Time and Sparks Rise, available in print for the first time. The book will also include a brand-new novella titled Beyond the Night. So for those of you keeping track, these novellas form a sentence like the original trilogy does: In Time Sparks Rise Beyond the Night. The collection will also feature a sneak peek at Passenger, the first novel in Bracken’s newest two-book series. EW: What can you tell fans aboutThrough the Dark? ALEXANDRA BRACKEN: I’m incredibly excited that these stories will finally be available in hardcover print format so readers without e-readers will be able to access them and have another hefty—this will be pretty close to 500 pages—beautiful hardcover to add to their collection. Each of these stories is told from perspectives outside of Ruby’s main story line narration, and they’re meant to expand upon different aspects of the story’s world. While you don’t have to read them to follow the main story line of the novels, they do tie into them. More specifically, what can you tease about the newest novella,Beyond the Night? Beyond the Night is a continuation of sorts of Sparks Rise, which is told partly from Sam’s perspective. I loved revisiting her in Sparks Rise and showing what happened to the friend Ruby left behind when she escaped Thurmond in The Darkest Minds. Maybe “loved” isn’t the right word considering the horrible things that happen to her, but I have a real soft spot for the character and how strong she is. Lucas, the other narrator from Sparks Rise is out of commission in this novella, so Sam shares alternating chapters with someone new. The story is set several weeks after the end of the third book, In the Afterlight, and touches upon the uncertainty and disorganization that comes after the end of a monumental shift of power and before a new, stable regime takes its place. There’s a new terrifying danger that the kids are facing, and you will get to see some characters from the main story…but I won’t say who! Are you guys excited? We get another story from The Darkest Minds world! 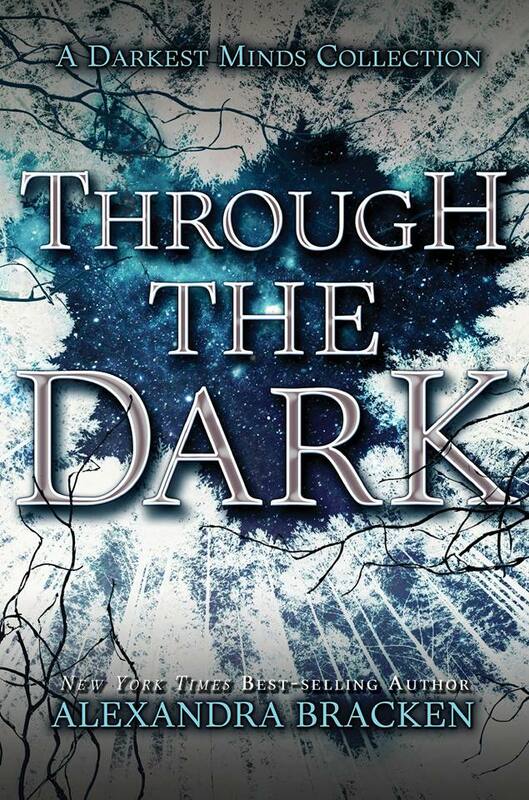 Through the Dark will be available in stores on October 6.